The first Chinese investment summit in the Netherlands was held last week … and it wasn’t in Amsterdam. 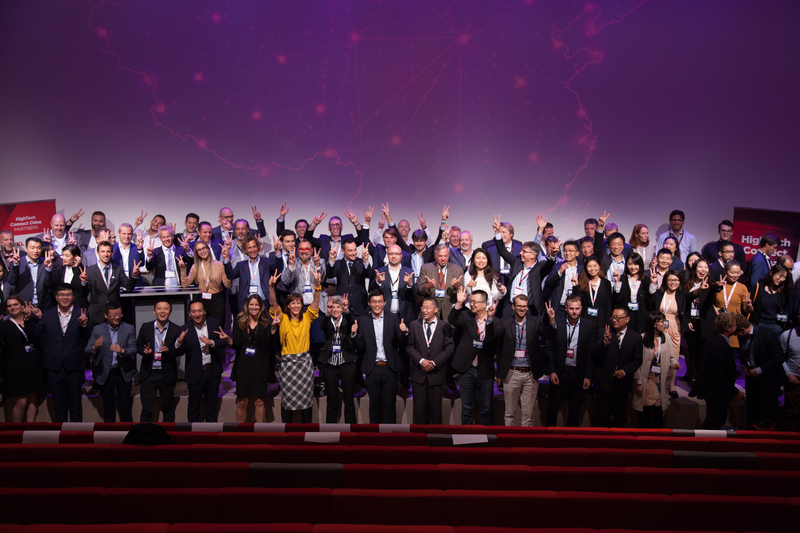 Under the aegis of HighTechXL, the Netherlands' premier tech accelerator, HighTech Connect China brought more than 200 attendees to Eindhoven for an invitation-only China/Netherlands investment summit. They included about 60 investors – 40 representing Chinese firms or investment funds – as well as 18 Dutch early-stage investors to High Tech Campus Eindhoven. The goal: To build an enduring network to generate cross-border ‘Smart Money’ investment from China to the Dutch high-tech ecosystem. HighTech Connect China also brought marquee names from the business world and international diplomacy to town. 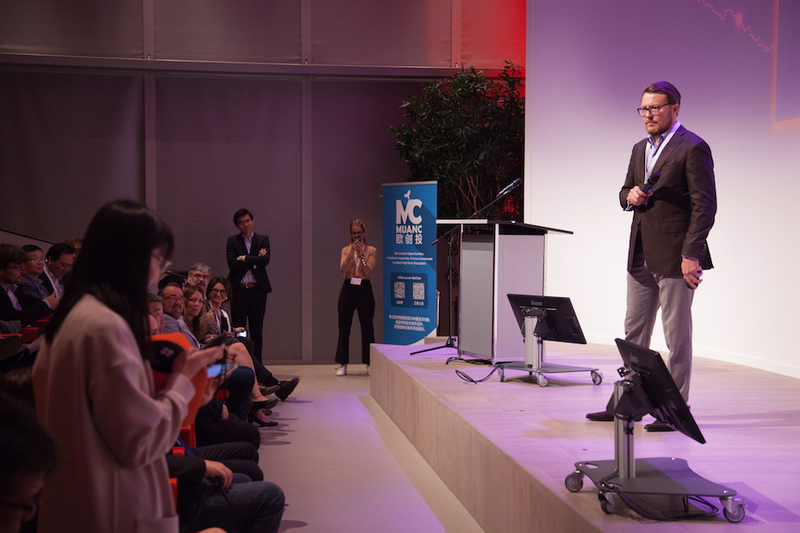 Prince Constantijn, special envoy for StartupDelta, addressed a question in Chinese from a Chinese participant using Travis the Translator app, a Dutch startup. It was clear the timing is fortuitous as China is becoming less export-oriented and more focused on catering to its own middle-class consumers, whom we see across Europe in every major business center from Düsseldorf to Stockholm. It was also clear that Chinese investors are serious about backing the right teams with the right concepts and technology, especially high tech because it transcends language and cultural barriers to markets, unlike web apps and software. RanMarine makes an aqua drone that cleans the water of everything from plastic waste to invasive plant life. The company needs more capital to ramp up sales, add a big-data engineer and expand its robotic AI team. They have a launch drone, but Hardiman told the crowd there are so many more future WasteShark capabilities they’ll be able to develop, from collecting data on water quality to calling slave drones when it needs help. “We’re not naive … we know we need more money,” Hardiman said later in an interview. “The golden moment would be 3 million” to add teams and capabilities, scale up production and advance the technology before competitors catch up. Hardiman said he changed the ask in his deck from 1 million to “from 1 million to 2 million” just before he stepped up to pitch. Several other companies including Additive Industries, which makes additive manufacturing equipment for clients in aerospace, automotive and even a Formula One team, made it clear they are looking for an entry into China, the largest market in the world. A startup that got a high-level of interest was Eggxpert, a startup from Geleen (outside Maastricht) founded by Ph.ds Chang Liu and Rong Wan. Eggxpert uses egg membranes to create a facial mask Chang and Rong tout as having anti-aging and anti-pollution agents. It was, they said, a combination of ancient Chinese medicine and modern research. 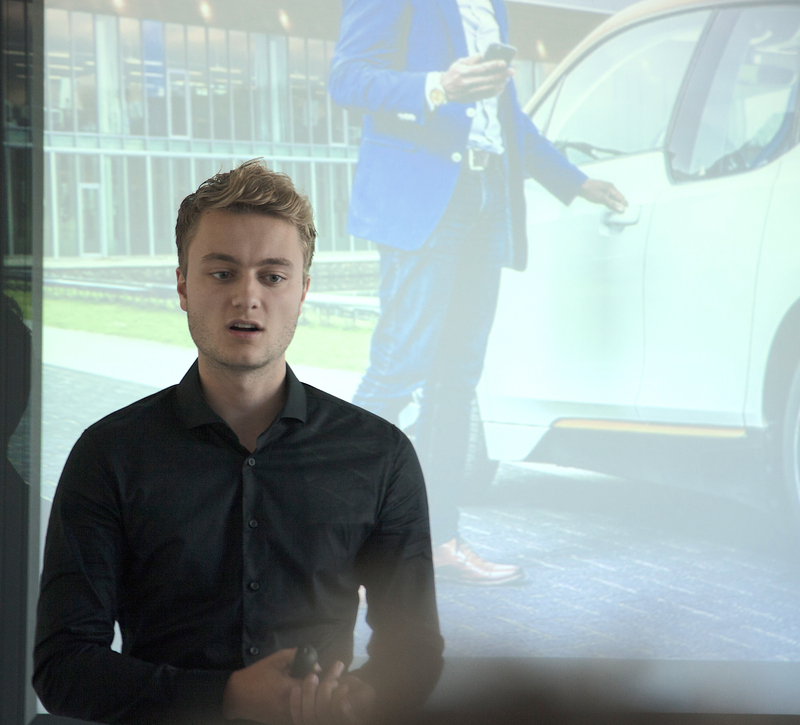 One scale-up that answered “yes” is Lightyear, an Eindhoven-based solar/electric car effort seeking 30 million euros to build a factory to startup production in 2020. Lightyear has developed decoupling technology that prevents solar cells in the car’s curved roof that aren’t receiving direct sun from dragging down the cells producing energy. Steven Nelemans, CEO of HighTechXL alumnus team Amber, pitches for Chinese and Dutch investors during the pitching rounds at HighTech Connect China. 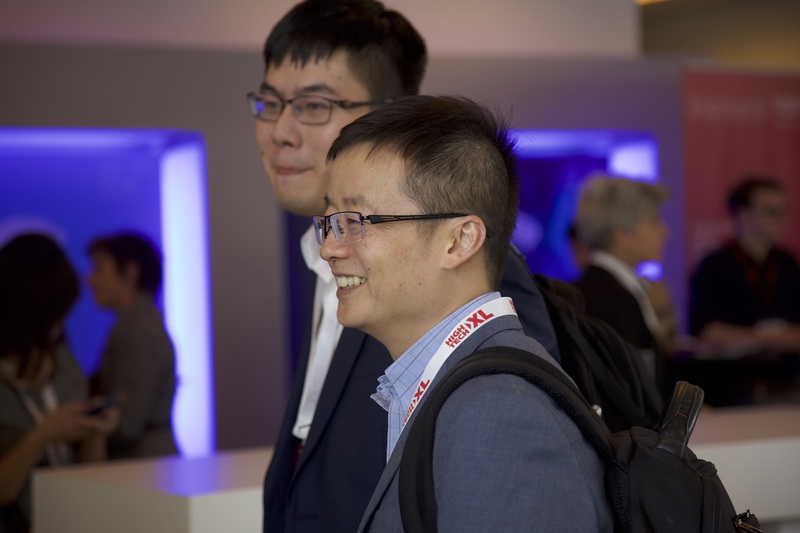 HighTech Connect China put scale-ups in front of potential investors, but it also illustrated how connected China and the Netherlands already are. RanMarine’s Hardiman pointed out the CFO of his company is Chinese, and there were several founders and team members who are Chinese, or of Chinese descent, among the scale-up teams. As investors and scale-ups got to know one another, the trust factor came up more than once. AkzoNobel’s Rinske van Heiningen, who works with startups, noted the ideal is working in collaborative partnerships and that her company would like to work with Chinese teams. But revealing weaknesses in opening up to startups, or revealing IP, could open the doors to competitors. To some extent, the collaboration between China and the Netherlands has already advanced to a point there’s no turning back, because both parties need one another in a symbiotic relationship. If we combine Dutch design with China’s manufacturing and China’s market to promote the complementary advantages and win-win cooperation between China and the Netherlands, it will certainly provide more space and possibilities for the rapid development of the enterprises of the two countries. That’s the plan, said Betsy Lindsey, a co-organizer of the event and managing director, investors relations at HighTechXL. Last week’s event was the first for HighTech Connect China, with a second planned for next year. HighTech Connect China was an initiative of Muanc, an Eindhoven partnership, and HighTechXL, along with a group of official and strategic partners. Jack Gao, John Reid and Lindsey all collaborated on the event over the past few months. Investment entities included Dashmote and G&M Capital from China. Sponsors included Prins Constantijn, StartupDelta; John Jorritsman, Mayor of Eindhoven; Enterprise Europe Network, Acien, KVK, Brainport Development, City of Eindhoven, High Tech Campus, Brabantse Ontwikkelings Maatschappij (BOM), Brightlands, Arnold & Siedsman, WVDB Advisors & Accountants, and Cathay Pacific. HighTechXL is the Netherlands’ premier high-tech accelerator, focusing mostly on hardware since its inception in 2014. HighTechXL is an initiative of the Eindhoven Startup Alliance with ASML, Philips, NTS group, High Tech Campus Eindhoven, ABN AMRO Bank, Brabantse Ontwikkelings Maatschappij (BOM), Brainport Development and EY as its members. Ready for the next level? At HighTechXL we've been working with startups for the past three years supporting them to build their businesses. This includes getting startups investor-ready and continuing to work with alumni as they scale up. Find out here how we can help you take your startup to the next level, either through acceleration or growth.